The Netherlands are proving to be somewhat of a force since not qualifying for the World Cup. Led by Virgil van Dijk, they got to the Nations League Final, where they’ll face England in the semis this summer, after beating Germany and France in their group. Last night, they battered Belarus 4-0, with our captain (and theirs) getting on the scoresheet. 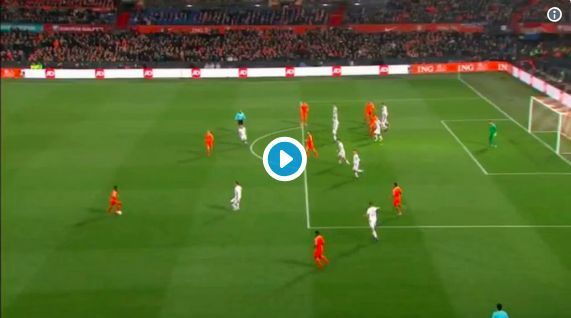 In the clip below, you can see van Dijk expressing his anger that Memphis Depay shoots from a narrow angle instead of crossing, before happily nodding home when the forward smartly decides to pass on his second attempt! VVD’s been in the goals recently. For club and country, he has four in six! So much for not finding the back of the net enough, eh?